In one week and a day something extraordinary will happen: we will pick the next president of the United States. Either President Barack Obama will win a second term, or Mitt Romney will join a shortlist of candidates to defeat a sitting incumbent. In one week and a day something extraordinary will happen: we will pick the next president of the United States. Either President Barack Obama will win a second term, or Mitt Romney will join a shortlist of candidates to defeat a sitting incumbent. And what has seemed like an interminable campaign cycle will grind to a sudden and complete halt. For most Americans, the end of the election comes with a sigh of relief – time to get back to our real lives as the flood of negative TV commercials recede in the rear-view mirror. But for me, as a public relations professional, presidential historian, and committed political junkie, it's met with a tinge of sadness. After all, presidential campaigns are the ultimate venue to watch communications strategies played out in the most pressure-filled, high-stakes environment. After all, the same communications concepts and techniques that drive political campaigns – creating a positive narrative for your candidate, depositioning the other guy, staying relentlessly on message, creating newsworthy moments that break through the clutter, conveying strength through non-verbal communications, using symbols as proxies for values – are employed every day by PR professionals for their clients. Whether it's a public affairs campaign around a legislative or policy issue, a long-term positioning program to shape a corporate reputation, or a brand launch intended to stimulate online conversation and drive consumer response, the central tenets of campaign communications apply equally as well. How many successful public relations campaigns stray from the key messages or lack a compelling narrative? How many truly move the needle for clients without having a breakthrough moment, whether it be an event, a robust media tour, or some type of unique content like a study or survey? So as the campaign winds down, try to look past the hyberbolic spin and petulant name-calling and think about what worked, and why, from a communications standpoint. There's a lot to be learned. 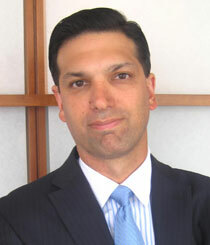 Nick Ragone is a partner and director of Ketchum's Washington office. He is the author of four books on the presidency, including his most recent - Presidential Leadership: 15 Decisions that Changed the Nation. He is a regular contributor to Fox News.